Start early. If you’re lucky enough to still have a kitten, start getting him used to having his paws handled as early as possible. 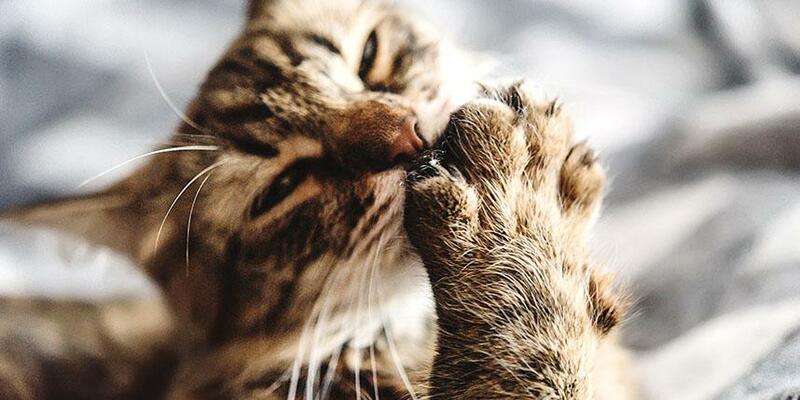 Don’t touch your kitten’s paws when he’s feeling rambunctious, but do incorporate “paw time” into your regular grooming and snuggling routines. Go slowly. If your cat is full grown, don’t worry—it’s never too late! Take your time, and don’t jump right into trimming your cat’s claws. Instead, choose a time when your cat is relaxed, and gently stroke her paws. Press the toe pads to expose the claws. If your cat shows any signs of agitation, simply stop and try again later! Use bribery. Give your cat a treat whenever he lets you handle his paws, so he associates having his paws touched with a reward. Gather your equipment. Choose a well-sharpened pair of clippers. You can use special cat claw trimmers, or a small pair of human nail clippers—experiment with what works best. Have some styptic powder on hand in case you accidentally cut too deep and draw a little blood. Get comfortable. Choose a position that puts your cat at ease, ideally in the same setting where you’ve already practiced handling her paws. You’ll want to hold her firmly under one arm to minimize wiggling, but be gentle. If she’s determined to get away, let her go and try again another time. Snip, snip. Hold your cat’s paw in one hand and depress the pads gently to extend the claws. To minimize splitting and cracking, position the blade at a diagonal rather than exactly perpendicular to the nail. Trim just the very tip of the claw—it’s better to take off too little than too much. Pause. Don’t feel like you have to get all the nails at once. Gauge your cat’s anxiety level, and give him a treat and a break if he’s had enough. You can come back and do the rest later, and your cat will learn that getting his claws trimmed isn’t the end of the world, after all. Trim your cat’s claws regularly. You’ll find it easier if you stick to a schedule for trimming your cat’s claws—that way they never get too long, and your cat stays used to the experience. Mark your calendar every two weeks or so. Trimming your cat’s claws doesn’t have to be a nightmare! 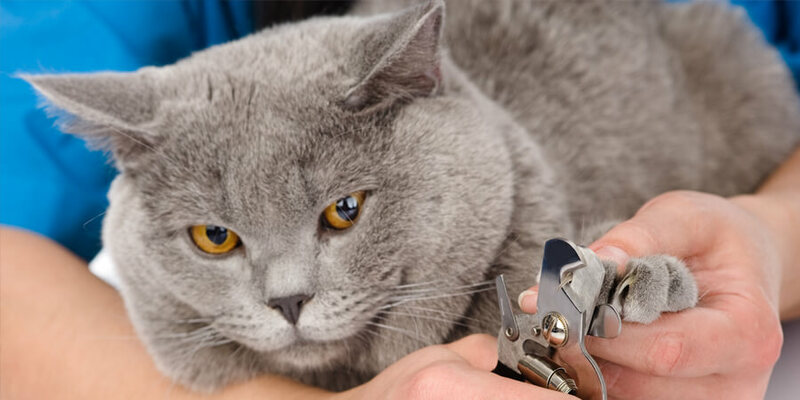 It may never become your favorite thing to do with your cat, but with a little practice and patience, trimming your cat’s claws can be relatively easy and stress free. If, despite your best efforts, trimming your cat’s claws continues to be traumatic, don’t be afraid to call in the pros! A vet or professional pet groomer can trim your cat’s claws as part of routine maintenance, and take the pressure off you. 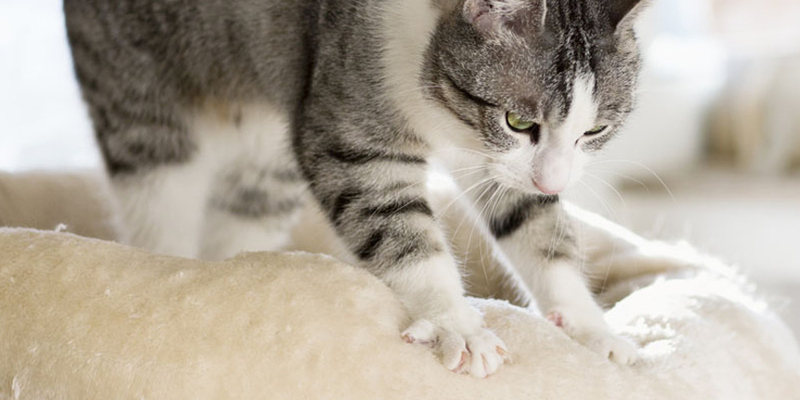 Wonder why your cat is making imaginary biscuits on your lap? Five possible explanations.